Demonstration instrument using helium and neon gases. 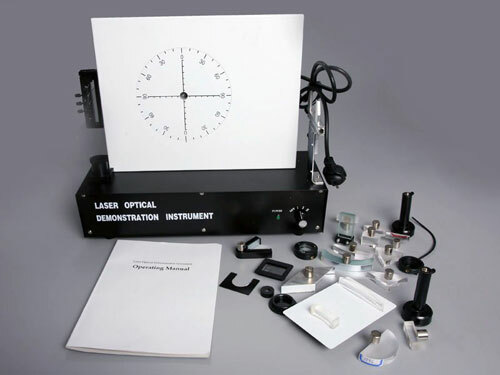 Laser Optical Demonstration Instrument is a modern instrument for demonstrating 61 geometric-optics experiments with clear images and vivid and intuitive effects. It is compact in structure, convenient in usage and light in weight. It can be operated both by the teacher in classroom and the students in groups without any darkroom facilities. 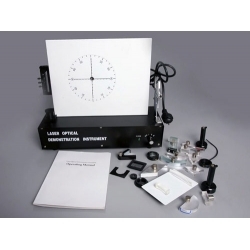 There are a lot of auxiliary attachments necessary for demonstrating a great variety of experiments. It is suitable for secondary school, technical school and universities. The experiments in this instrument are mainly for the student's search for interesting activity. They will help students to understand the inner relation of optical phenomena and to strengthen their ability of analyzing the natural phenomena and solving them.